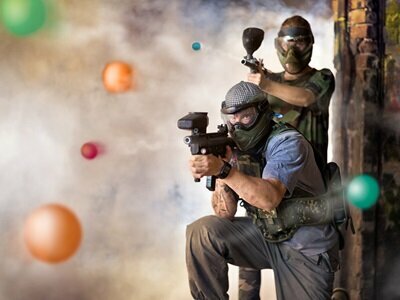 Paintballing can be played professionally or for fun, regardless of kind of play, your ultimate goal when playing is to eliminate as many opponents as possible. To do this, you must be able to fire accurately, at great speed, and from a distance. For this reason, it is important that you consider all these qualities before purchasing a paint gun. 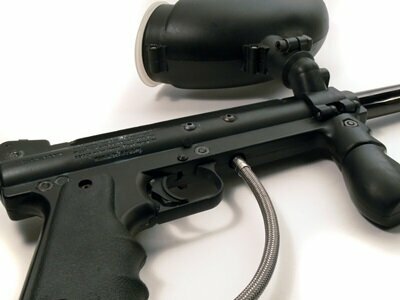 Veteran paintballers will most likely spot the ideal features of a paintball gun by just looking at its specs, but if you’re a beginner, you’ll need deeper analysis to understand the quality grade of each product. The Ak47 is one of the most common and famous assault rifles in the world today. It is therefore no surprise that we have paintball guns inspired by the Ak47 design, and you can be sure that firing paintballs with these markers is as real as you’d want the experience to be. Just like the real Kalashnikov rifles, these replicas comprise mostly metal and wooden parts, and they also come with detachable steel magazines. They are also reasonably easy to use; hence they are very popular among paintball fans. In this section, I take a close look at four AK-47 Paintball Gun models. Read through to learn about their features. Paintballs have to move at a certain speed for them to break upon contact with a target and for this reason; you might find that your marker does not deliver effectively if you’re shooting from far afield. This is because most standard paintball guns are designed to work best within a range of 80 ft to 100 ft, which requires you to get dangerously close to your opponent to get a clean shot. Investing in a superior long distance paintball gun is not only a great way of ensuring that you maintain a safe distance from your opponent, but it enhances your accuracy and prevents you from wasting your precious ammunition as well. 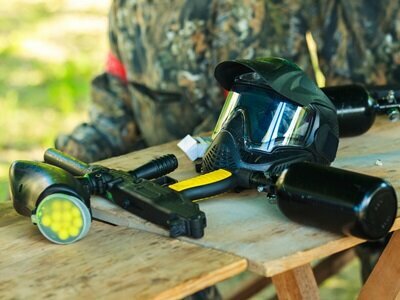 In this section, we have diligently reviewed six top-of-the-range paintball markers specifically built for long range. Read the section to learn about their adaptations and performance rating. What’s more, all products listed below come in a complete package hence you don’t have to worry about purchasing other accessories. 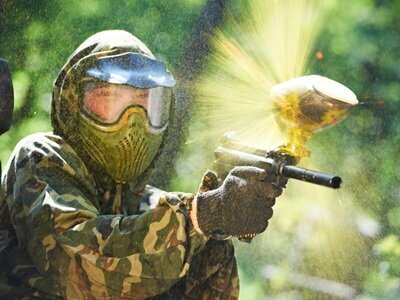 Just like in real combat, speed is a crucial element in paintballing. This is because if you and your opponent are caught in a standoff, you need to shoot fast before they take you down. However, this can difficult if you’re using a standard paintball marker, and this is why I have included this comprehensive high-velocity paintball guns section to help make better and more informed paintball marker purchases. Paintball speeds are measured in feet per second (FPS), and most paintball guns operate within the recommended safe range of around 280 FPS. It is therefore unlikely that you will find a marker that fires outside this range, but there are other factors that you can consider such as the response time and ease of use. 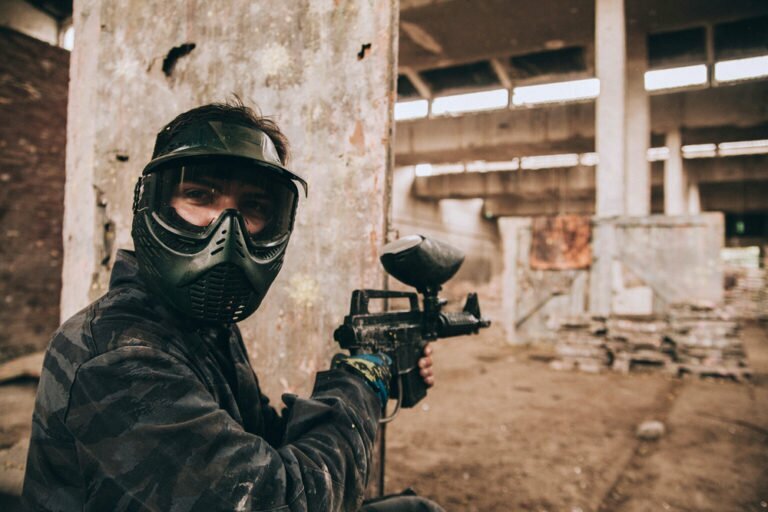 I invite you to check out the four paintball markers that I have featured under this category to learn about their impressive features and discover what makes them tick. to include this section. This category contains a comprehensive list of top-rated high-accuracy paintball markers, and we have explained why accuracy is crucial in paintball competitions. I have also listed other factors that affect your accuracy like practice, quality of paint, experience, and gun maintenance. All the paintball gun models reviewed above possess unique features and they deliver differently when put to task. Some are faster to operate than others, while some are built to deliver more accurate results when fired. In as much as these qualities are grouped independently, the ideal paintball marker must combine all or some of these features for best results. 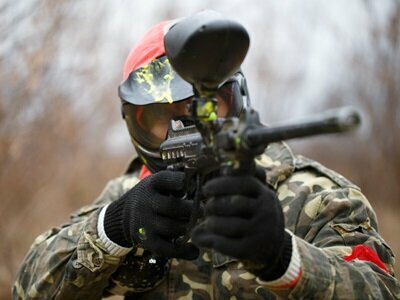 For example, you can consider both accuracy and response time when deciding which paintball gun to buy. It is also impossible to think only about the shooting range of a paintball marker without putting its precision in both up-close and long distance fights into consideration. 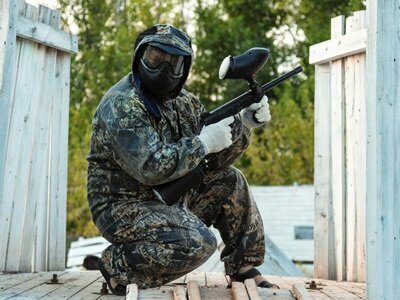 Lastly, I know that getting the perfect paintball gun is not enough, hence I advise my readers to work on improving their tactical skills if they want to get better at paintballing. Such skills include camouflaging, perfecting the art of surprising your opponent, being aware of your surroundings, and building on your speed.